Daryl Johnson (Worcester Park, United Kingdom) on 19 January 2018 in People & Portrait. 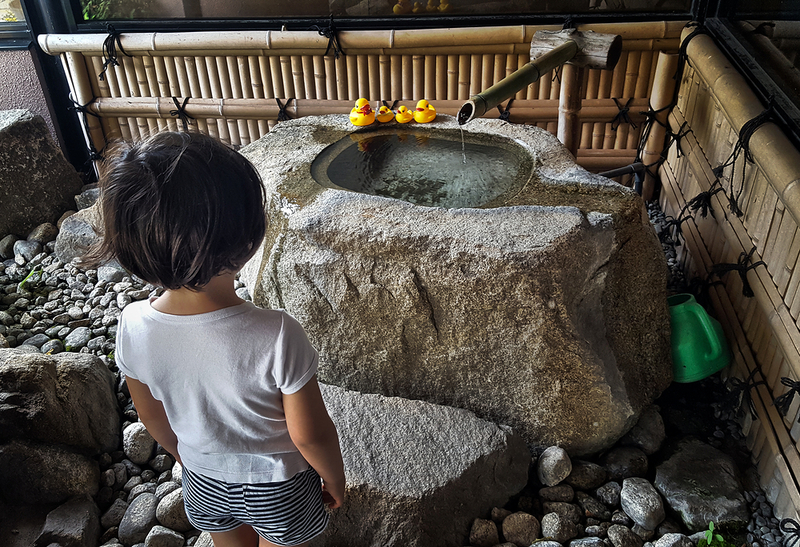 The little ducks first attracted Mia to this tsukubai fountain, but something else there caught our eye... can you spot it...? A cute shot. There is something green on the left of the frame that might be a small lizard. @Steve Rice: See the next photo Steve...!